Introducing a new and innovative anti-ageing range and facial techniques to provide invisible support for firmer, lifted skin. 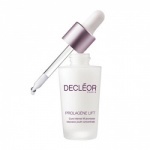 Decleor Prolagene Lift range combines our extensive knowledge of plant-based active ingredients with Essential Oils to develop the latest anti-ageing innovation; L-PROLINE Complex. The new complex works deep into the skin by specifically targeting collagen fibers and fibroblast cells to create a lifted and firmer skin feeling. 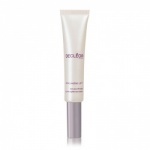 The result is skin supported by an intelligent composition of youth boosting active ingredients. Decleor Prolagene Lift & Firm Day Cream for Normal Skin has been specifically designed for mature skin using the latest in skincare technology, giving your skin an instant 3D rejuvenation effect by lifting, tightening and smoothing. 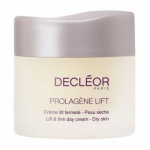 Decleor Prolagene Lift & Firm Day Cream for Dry Skin has been specifically designed for dry, mature skin that needs a little extra soothing comfort, whilst also giving your skin an instant 3D rejuvenation effect by lifting, tightening and smoothing. Inspired by our salon expertise and developed by Decleor scientists, Decleor Prolagene Lift Mask is an intensive wrinkle-filler specifically designed to reduce the appearance of deeper, more pronounced facial lines. 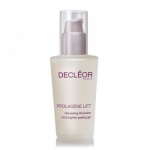 Decleor Prolagene Lift & Brighten Peeling Gel is inspired by our professional product Alpha+ Gel used in our expert salons, this radiance-revealing scrub uses the power of Fruit Acids to smooth and refine the skin’s texture rather than abrasive grains.